We have some great news for SUV lovers: Toyota has produced a hybrid version of its ever-popular RAV4 compact SUV. This may surprise and delight many of you, but some folks have been waiting for a RAV4 Hybrid for more than a decade. The 2016 RAV4 Hybrid may be the first hybrid vehicle to crank out more horsepower and torque than its non-hybrid version - 194 hp in the RAV4 Hybrid compared to 176 hp in the conventional RAV4. But don't tell anybody, or else everyone will want a new RAV4 Hybrid, and there are a limited number available. Now that the 2016 RAV4 Hybrid is finally here, it turns out to be more spectacular than anyone imagined, and we have a nice selection of them in our showroom at 900 US HWY 41 Bypass S, FL. We are anxious to show the powerful and agile 2016 Toyota RAV4 Hybrid to all our friends in Sarasota, Bradenton, Venice, North Port, and Port Charlotte, so stop by for an invigorating test drive soon. The newest edition to Toyota's world-famous family of hybrid vehicles is also the best. No one is more excited about the latest and boldest addition to Toyota's hybrid lineup than we are. Venice Toyota has a great selection of new RAV4 Hybrids, poised in our showroom and ready for some serious test-driving. 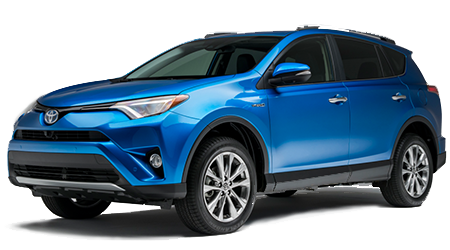 Stop by 900 US HWY 41 Bypass S in Venice, FL, to see the brand RAV4 Hybrid before anyone else. We serve a wide area including Sarasota, Bradenton, Venice, North Port, and Port Charlotte, so do not hesitate to schedule a test drive at your convenience.